First off, thanks to RRT for letting me stop by! I’m excited to talk about “A Little More Scandal.” At just $.99… Take a chance! 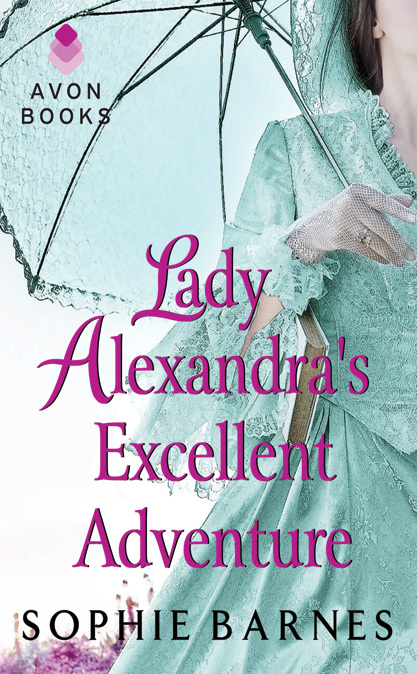 This is an adorable intro to my Christies series of Victorian romances. William crisscrossed his arms behind her back and her bum, then lifted her straight up from the chair. She gasped against his cheek. Any momentary shock dissipated as she sank more deeply into his embrace. Catrin bit his lower lip, her smile returning in force. “So strong,” she whispered against his wet mouth. His vision wavered at the edges. He was trying to intimidate her, not impress her, yet her breathy compliment thrilled him with a hard jolt. Yes, he was strong. He had forged himself into a man no one would challenge. Yet this tiny, curious woman shoved at his control with more determination every time. He wanted to shove right back. Far, far too much fabric separated her thighs from his hands, but her bodice was wide and generous in its display of creamy skin. He stripped off her bonnet with one quick flick of ribbon, then laid her back along the desk. No softness or sweetness now as he suckled kisses down her throat and across to her delicate shoulder. Catrin’s intake of breath urged him without words, as did her squirming, gently thrusting hips. William adjusted their position so that she stretched flat against the unforgiving mahogany. His legs tucked against the yards of satin between hers. He bowed up and over her body, and pressed her shoulders back against the ink blotter. She arched into his hold, thrusting up her bosom. I bet you can guess what happens after that, but wouldn’t it be more fun to read it for yourself? I hope you do! STARLIGHT [http://www.carrielofty.com/Starlight.html] is the second full-length romance in the Christies series, set in Victorian Glasgow. It was just given 4 ½ stars and chosen as a Top Pick from RT BookReviews. It’ll be released in paperback and digitally on June 26 from Pocket. HIS VERY OWN GIRL [http://pages.simonandschuster.com/pocketstar/his-very-own-girl] is a historical romance set in WWII England. Seriously. Not women’s fiction. Not literary fiction. A full-on honest to goodness historical romance. Another Pocket Star digital original, it’ll be available September 4. If possible, I’d like to give away a copy of FLAWLESS [http://www.carrielofty.com/Flawless.html], the first of the Christies series from Pocket. I’ll ship anywhere. Anyone who already has FLAWLESS can win any choice from my back catalog. Chat with Winnie Griggs Wednesday night!!!! Love Inspired Historical author Winnie Griggs joins us to discuss her book, A BABY BETWEEN THEM. 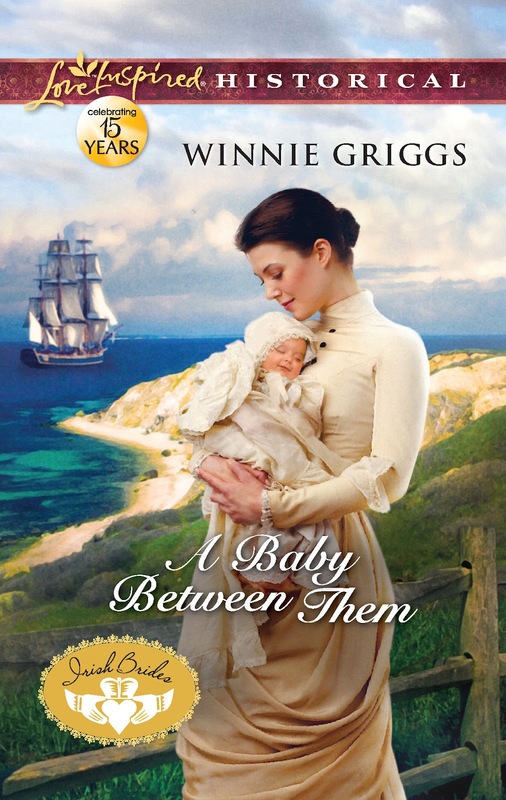 Door prize: One lucky winner will receive all 3 books of The Irish Brides series and another lucky winner will receive their choice of any book from Winnie's backlist - including A BABY BETWEEN THEM! Q & A with Sophie Greyson! First off, if you have any questions or comments for Sophie, be sure to post in the comments as she's giving away a download of HEAVEN SCENT to one lucky winner. On her deathbed, Lady Jane Worthington makes her eight-year-old daughter, Tarin, promise her three things: live life as she pleases, do not allow her father to arrange her marriage and, most of all, marry for love. After witnessing her mother's suffering and subsequent death, Tarin is determined to save others from the same fate. And nothing, not her noble status, nor society's belief that women cannot be doctors, will keep her from making Gregory's first female medical college a reality. Rafe Sutherland, long-lost Brahmin rogue turned Texas Ranger, returns home after his father‘s mysterious death, bearing secrets. Rafe’s wildly virile and arrogant persona, as well as his animosity with a college-supporting suitor, threatens Tarin's plans. And her father's continual matchmaking with the national hero makes Rafe completely out of the question. What Tarin doesn’t realize is that Rafe comes with a little help from above, and what mother wants, mother gets. OK, I love to laugh at good banter and this scene makes me laugh just thinking about it. J Rafe is fit to be tied after a week away from Tarin. He sees her at a ball surrounded by suitors and really gets steamed. He whisks her away from her next dance partner and whirls her onto the dance floor a little too hard. J Tarin is seething – how dare he! Their banter and insults mask the sexual tension that is thick after a week apart. Rafe continues to jerk Tarin around the floor until she is dizzy. When she goes into a coughing fit after a gasp at one of his comments, he takes her outside where their heated anger soon transcends into a major makeup (or would that be make out?) session. J Where the scene inside was light, jerky, the scene outside is dark, sensual and even touching. I like the contrasts. If something is meant to be, nothing can stop it from happening. And for Tarin and Rafe, their love is destined. 4. How much research does there go into your stories? For Heaven Scent – A LOT. Primarily, I used some of my college history books for Rafe’s background, the Harvard Open Library Collection was a great source for me on the Female Medical College. I also bought some books on opium trading in the 1800s, and found a great book of newspaper stories that ran in 1848 Boston, which is the setting of my book. I did hit several miscellaneous websites as well, including maps of the city. 5. When did you first realize you wanted to be a writer? Well, I don’t know if it’s interesting but it’s definitely a quirk. J I try to fool myself into thinking I’m a plotter. But when I create a plot outline, I usually never stick to it. My characters tend to take over scenes and change things. So, when that happens, I go back to my plotting outline and change it to reflect my character’s changes. Even if I have already written the scene. Weird, I know. But, when I am done, it helps me to look at the overall character arc and W plot. I had more patience than I ever thought possible. I had always considered myself an impatient person, but writing and the publishing business are not to be rushed. I believe you cannot rush creativity and the imagination. It needs time to breathe and blossom. My first writing class was given by Author Linda Bradley. She was such an enthusiastic instructor that I couldn’t help but love the idea of writing. 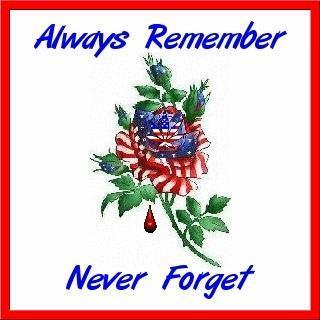 Authors Robyn DeHart, Emily McKay, Pam Morsi, Deborah Gafford, Hattie Ratliff, and Delores Fossen were members of the local RWA chapter and were great mentors to me. More recently, authors Linda Carroll-Bradd, Janice Edgerson, Patricia W. Fischer and Mary Brand were members of the critique group that helped me complete Heaven Scent. I could not have done it without their invaluable input. They have been nothing but supportive. Then again, they have always been supportive in everything I do. I would expect nothing less. LOVE going to the movies. I am a huge Avengers fan, Twilight fan and anything historical. I love reading romances, and watching Once Upon A Time and The Voice on TV. I am a fan of the San Antonio Spurs and love watching them play. Yes! I am working on a contemporary romantic comedy that I hope to have out by the end of the year. It is set in a small Central Texas town and yes, cowboys will be present. Lots of them. J I had so much fun writing this one. 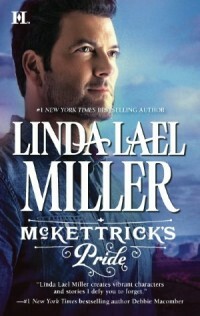 Estella wins the copy of McKettrick's Pride! Post a comment to be entered to win and I'll announce the winner around Monday night. Q & A with Carol A. Spradling! Shades of Gray is the story of a tormented man who allows himself to be ostracized by the entire town in order to protect someone he loves. There is a scene in the beginning of the book where Kat, who has been severely beaten, arrives at Gray's home. Her broken and battered body reminds Gray of a similarly horrific time in his life. The tenderness he shows her, while struggling with his own private memories, is very gripping. the type of ending I was looking for. I would have to write it myself. I don't know if this qualifies as a quirk, but I tend to facially express the emotions of the characters as I type the scene. How much fun it is. Don't get me wrong, it is a lot of work, but I love to watch the characters develop as the story takes shape. Initially, Diana Gabaldon, Jo(anna) Bourne, Kristen Callihan, and Jennifer Hendren offered advice and encouragement. Today, Peggy Henderson is my invaluable, critique partner. I am amazed by her insight. I love hiking in the mountains. My husband and I go to the North Carolina mountains every chance we get. A morning hike followed by an afternoon of writing is my kind of day. I've started a time-travel series and hope to release book 1, Faithfully Yours, this fall. There is a small twist with this series. Instead of traveling hundreds of years through time, the heroines in my series time travel within a fifty year range. 10. How can readers connect with you online? Chat Wednesday night with...Karen Hawkins! New York Times and USA Today best-selling author of over 20 humorous historical and contemporary romance novels,Karen Hawkins joins us to discuss her book, THE TAMING OF A SCOTTISH PRINCESS. Montmartre is also largely based on memory – I used to love going there on weekends to enjoy the view of the city. During the Regency period, Paris wasn’t as huge as it is today, and Montmartre was still outside the city limits and free from Paris taxes. Wine was made by local nuns there – and Alexandra and Michael do sample a glass or two =) Toward the end of the 19th century, Montmartre became a place for seeking entertainment with singers, artists, performers, and famous cabarets like the Moulin Rouge and Le Chat Noire increasing in popularity. My biggest challenge in terms of describing a place with as much accuracy as possible was probably the Tuileries Palace where Napoleon resided. 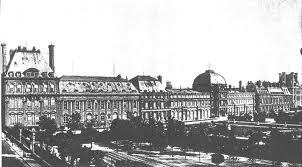 The magnificent edifice, which was located right before the Louvre if you happened to be coming from the Tuileries Gardens, burned in a fire in 1871 and was eventually demolished after the ruins had stood on the site for eleven years. A couple of old photographs do exist, but it was difficult describing the interior as well as I would have liked, until I stumbled upon a very detailed account by N. Robinson in Frank Leslie’s Popular Monthly, Volume 17 from 1884. I’ve included the link below, for those of you interested in reading about the history and the interior of this magnificent palace that sadly, no longer exists. I’d like to thank Romance Reviews Today for hosting me today. I’ll be popping in throughout the day to chat with you and to answer any questions that you might have. So feel free to leave a comment or two - let me know if you’ve ever visited Paris or if you hope to do so one day. A big thank you to Sophie for being our guest! 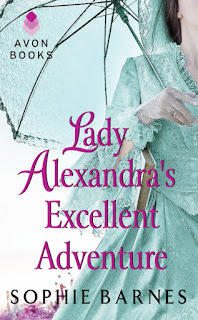 She is giving away an e-arc of LADY ALEXANDRA'S EXCELLENT ADVENTURE to one lucky poster. Ask a question or post a comment and you'll be entered in a chance to win. Guest Blogger: HelenKay Dimon ... with a contest! Guest Blog with giveaway from Joely Sue Burkhart! Chat Wednesday night with... Allison Brennan! Chat Wednesday night with Catherine Mann! RRT's Best Books of 2011!